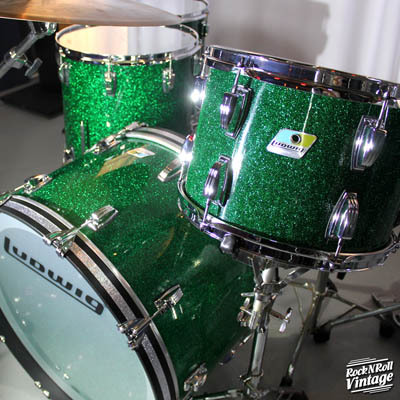 The 45th anniversary limited edition Ludwig green sparkle vistalite kit is finally shipping. 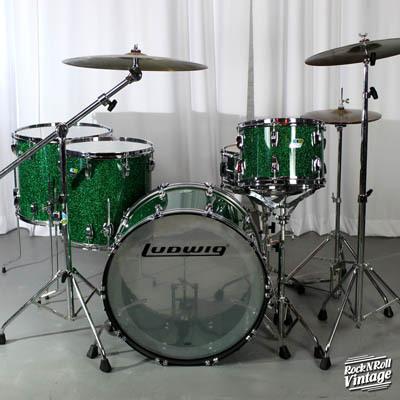 Vistalite drums debuted in 1972 creating a legend still revered by drummers today. Real sparkle flakes are embedded in acrylic. 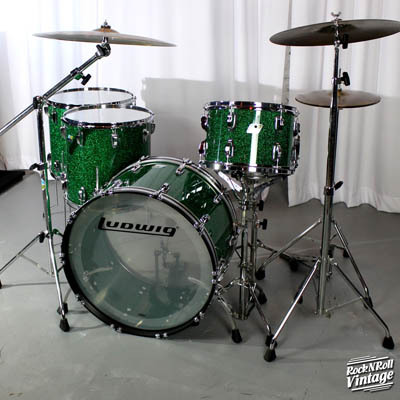 Retro appointments including rounded blue and olive badges, classic lugs and a clear 70's underline logo complete this kit. Price so low we can't advertise, please contact us for details. 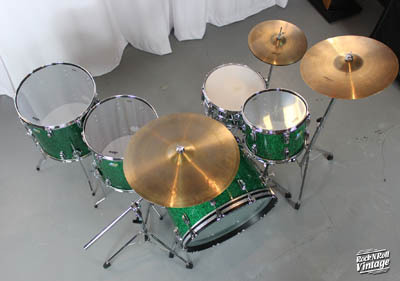 Simply call us at 773.878.8616 for an amazing deal or request our "Best Price" quote Online !